Heat oven to 400°F. Spray large cookie sheet with cooking spray. In 10-inch nonstick skillet, cook Italian sausage over medium-high heat 5 to 7 minutes, stirring frequently, until cooked through. Drain; cool 5 minutes. 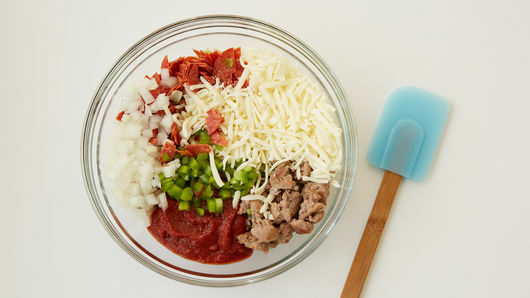 In medium bowl, mix 1 1/2 cups of the cheese, the Italian sausage, pepperoni, onion, bell pepper and pizza sauce. Unroll dough on cookie sheet; press into 15x12-inch rectangle. 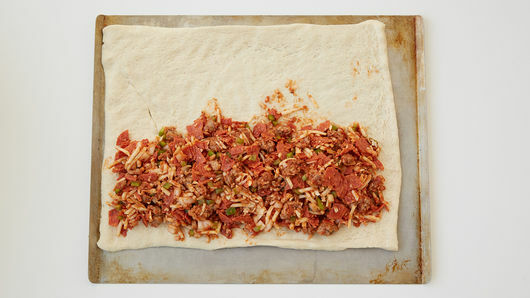 Top one half lengthwise with Italian sausage mixture to within 1/4 inch of edges. 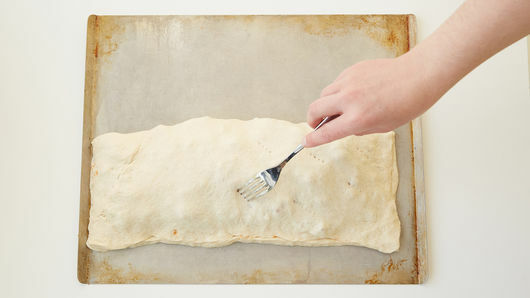 Fold dough in half lengthwise to enclose filling, pressing to seal on each side. Poke all over with fork. Sprinkle with remaining 1/2 cup cheese. Bake 18 to 23 minutes or until deep golden brown. Cool 5 minutes. 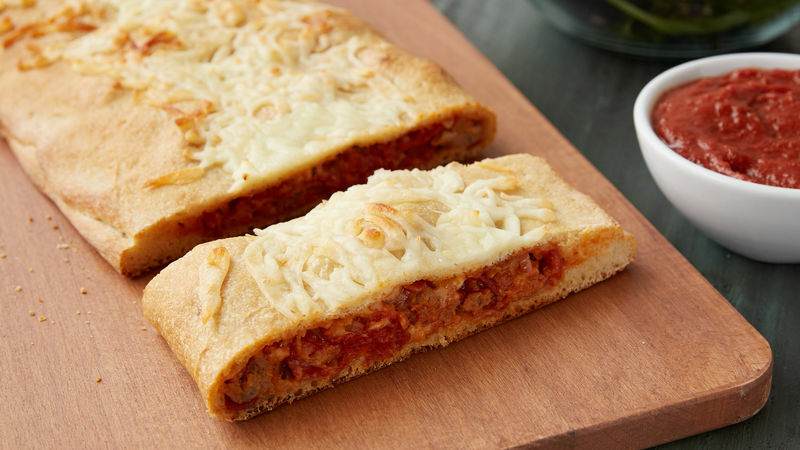 Serve with additional pizza sauce. Feel free to add sliced ripe or green olives to filling. Serve with a green salad for a complete meal.